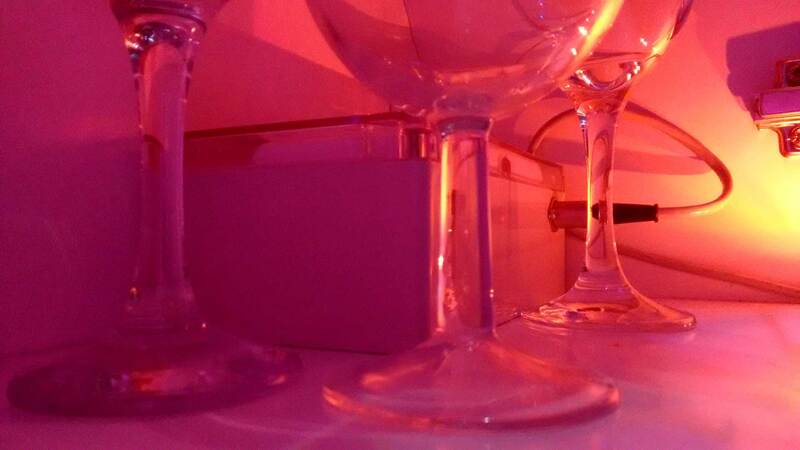 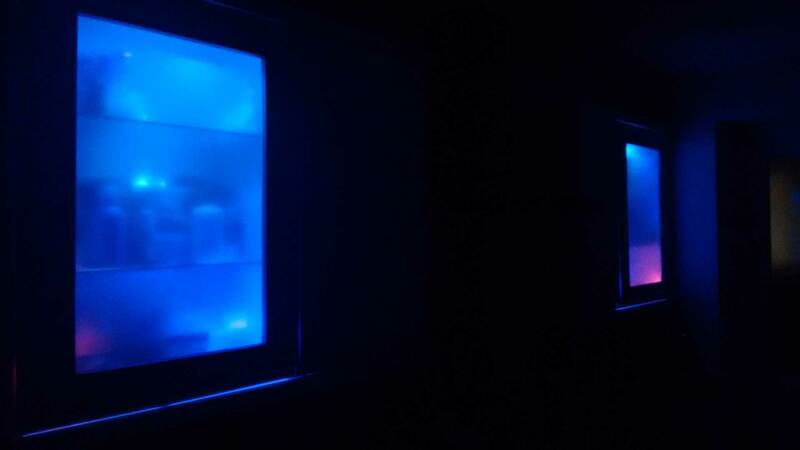 a project that retrofits colour changing led to two kitchen cupboards with glass doors. 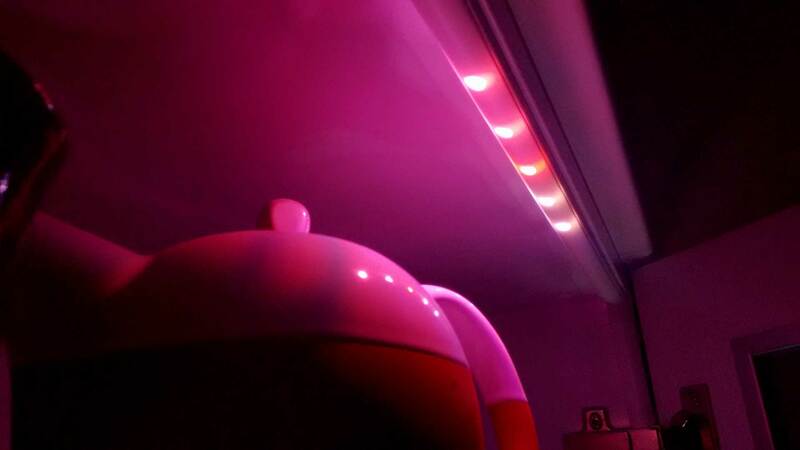 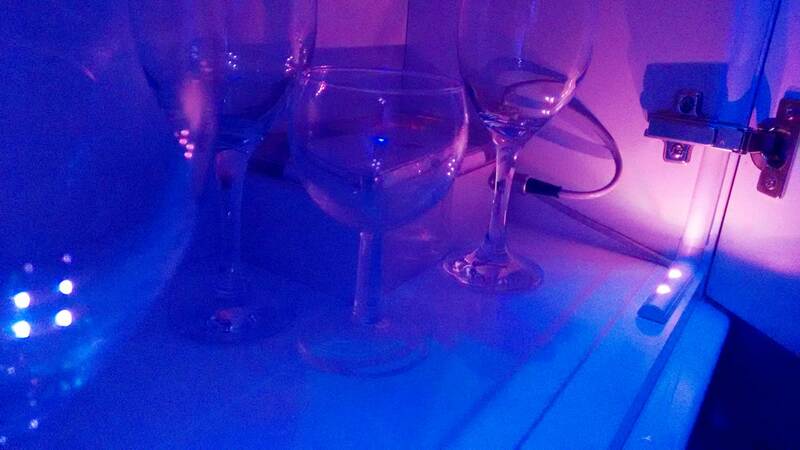 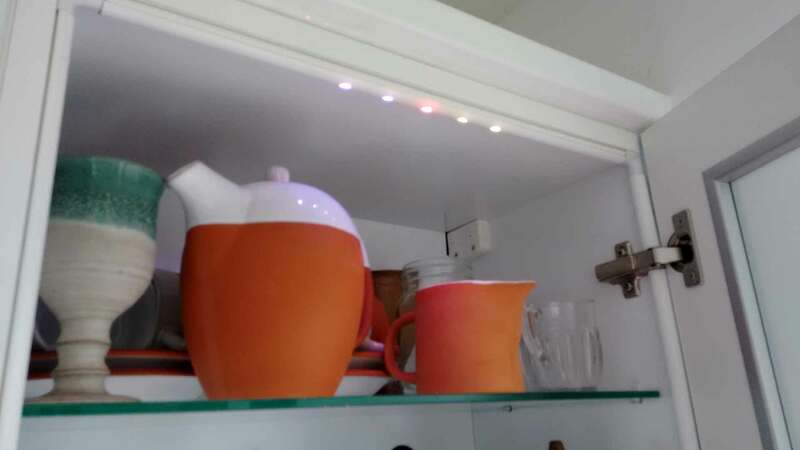 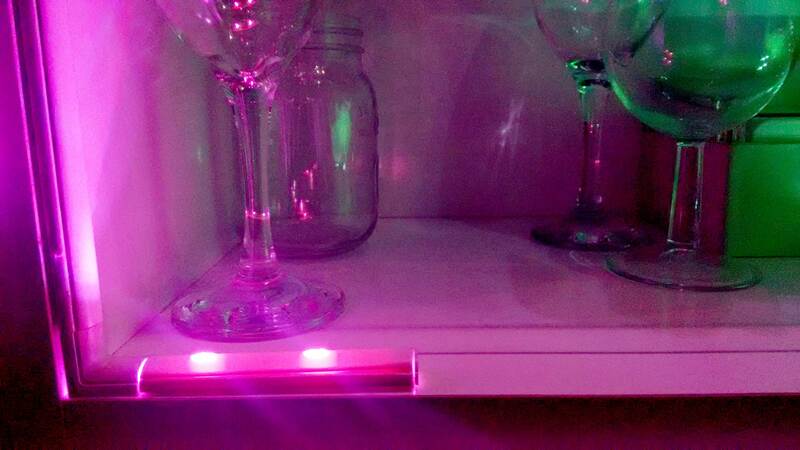 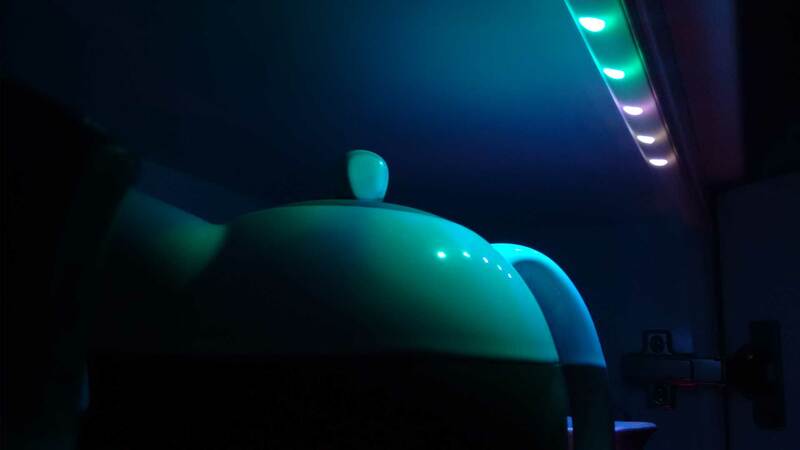 using arduino as the main controller and data over wifi, the two cupboards change colour in unison. 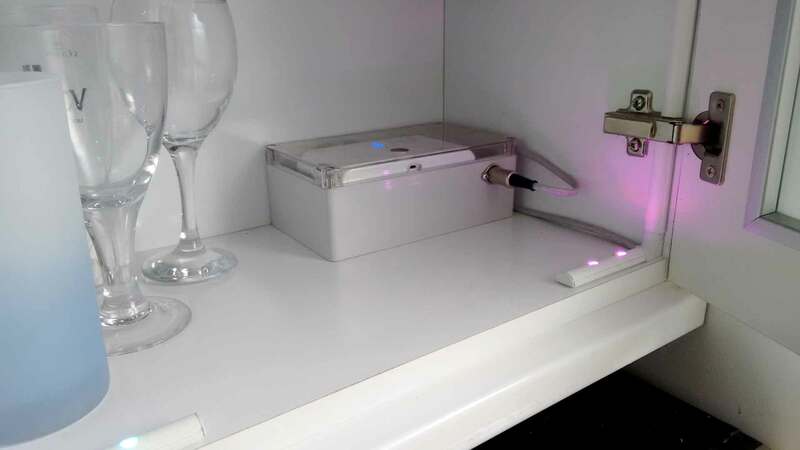 each part of the installation is powered by a usb power pack.